Zoom is one of the most popular video conferencing apps for businesses. It offers solutions for meetings, webinars, collaboration and instant messaging to make online communication easier. Zoom features a large range of functions, with plenty of features to make video conferencing more accessible to businesses of all sizes. In this Zoom meeting review, we will take a look at how to do a Zoom call, among other things. You can learn how to make the most of Zoom and decide whether it’s right for you and your business. Let’s take a look at Zoom and its primary features, as well as some tips for using the tools effectively. Zoom offers you tools to carry out video conferences and meetings, broadcast webinars, and more. Their solutions include video conferencing and chat, as well as the complete video conferencing system ZoomRooms. This Zoom meeting review covers some of the most useful things that you can do with Zoom, including how to do a Zoom call. Of course, the primary purpose of Zoom is to enable you to make conference calls and hold virtual meetings. 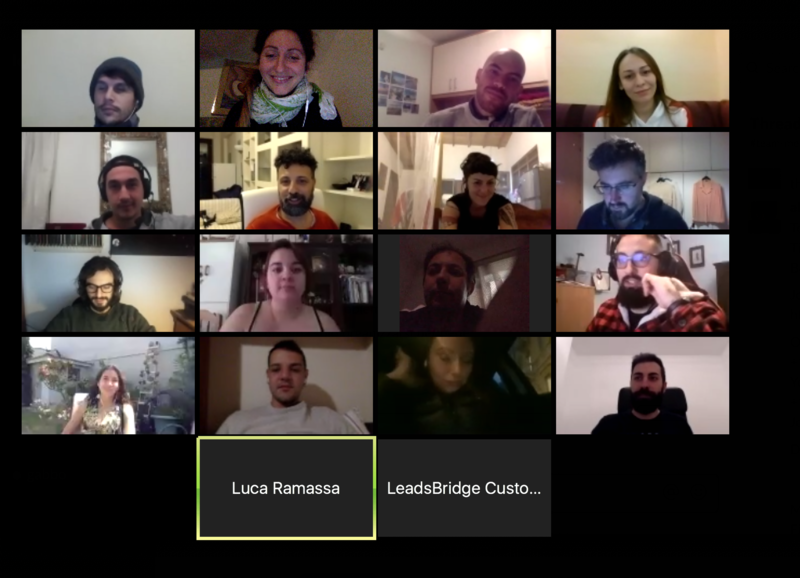 You can host a meeting both with video off or on, and you can also choose a “screen sharing only” option if you would like to share your screen with people but don’t need to see everyone’s faces. 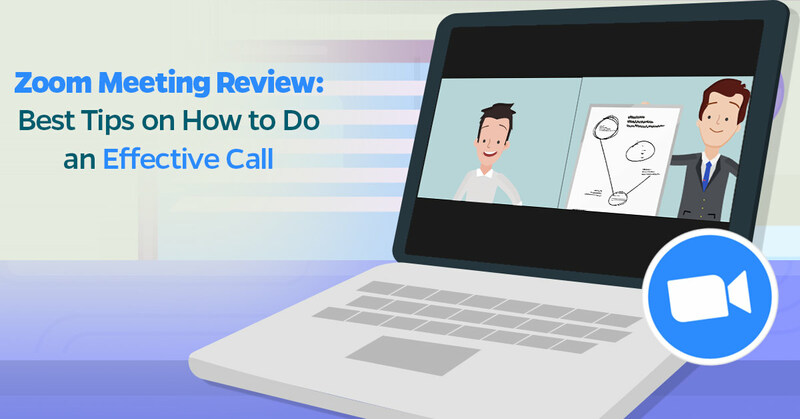 The first thing that you will want to learn is how to do a zoom call, and that’s just one thing that this Zoom meeting review will show you how to do. You can start off on the Zoom website or use the Zoom app. You can either schedule a meeting for later or make a call right away. To host a meeting, simply choose one of the options for a call with or without video. You can then click “invite” to invite people to join the call, which you can do by sharing a link. Remember that you first need to have an account so that you can sign in. And that’s how to do a zoom call. This Zoom meeting review will now take a look at some of the more in-depth functions beyond the basic call feature. If you don’t want to host a meeting right away, you can schedule one for later. This is an important part of knowing how to do a Zoom call. It’s even possible to schedule recurring meetings so that you don’t have to do it individually. You can schedule a meeting from the desktop client or mobile app, Zoom Web Portal or a browser plugin. You can even schedule a meeting for someone else. To schedule a meeting, you just need to sign in and click schedule, then fill out the information. If you would like to schedule regular meetings, select recurring meeting when you schedule a meeting (find it under the date and time information). You can choose how often the meeting should occur and how long it should continue. A great thing to note in this Zoom meeting review is that you can also have other people schedule meetings on your behalf or get permission to schedule meetings for someone else. Both users need to be on the same account to use this function. In Meeting Settings under Other, there is an option to assign scheduling privilege. It’s as simple as clicking the plus, entering the person’s email address and clicking “Assign”. The person who now has scheduling privileges can select “schedule for” when they schedule a meeting. After a video conference or call, being able to review what happened or perhaps even show someone who couldn’t be there is extremely helpful. Fortunately, Zoom gives you the ability to record all of the calls and meetings that you have so that you can later perform a Zoom meeting review. You can record a video and either store it locally, on your computer or another storage device, or you can choose to store it on your Zoom cloud account, which you can obtain as a paying member. If you want to learn how to do a Zoom call while recording, there are a few steps to take. To enable local recording for yourself, look under Meeting Settings or find it in Settings under Group Management for all users. You can turn on automatic recording to record by either cloud or local recording. Administrators can do this under the Recording tab in Account Settings for their whole organization. Individuals will find it under Meeting Settings. Screen sharing is another useful feature you should learn about if you want to know how to do a Zoom call. Screen sharing allows you to show other people what’s on the screen of your device. When you’re hosting a meeting, choose the Share Screen button on the toolbar and select what you want to share. This Zoom meeting review would also like to note that you can share your computer sound too, although this is optional. When you share your screen, you get a screen share menu that you can move around. It gives you options to control your microphone, start and stop video, manage participants, pause, start a new share or annotate your screen. As well as hosting calls, you also have the option to co-host with someone else. This means that two people can be in charge, which might be useful if you have more than one lead on a project. You can enable co-hosting in the Meeting settings. Once they know how to do a zoom call, the person who starts the meeting can add a co-host when they join the call by hovering over their video. Another option is to use Manage Participants, select your co-hosts name and under More select Make Co-host. You can find out more about hosting in other parts of the Zoom meeting review. In an in-person meeting, you can sit people who are waiting in the meeting room or a waiting area until you’re ready for the meeting to start. However, with a virtual meeting, no one can join the meeting until you’re ready to start. Unless, that is, you’re using Zoom and making use of the waiting room feature. Keep reading this Zoom meeting review to find out how. The waiting room option allows you to offer a waiting screen, so people can join the meeting even if you’re not there yet. It’s an important part of how to do a Zoom call but it’s easy to do. One important thing to look at in this Zoom meeting review is whether you can track who turns up to meetings. Zoom offers the option to collect information from your attendees, as well as see who attended a meeting. To learn how to do a Zoom call roll call, take a look at the attendee list after the meeting. Go to Zoom Meetings and take a look at Reports, then find the meeting you want. Click on the meeting and select Generate and then Registration. Another essential skill to learn in this Zoom meeting review is how to get information from the people who attend your meetings. Before they join the call, they can enter their details, such as their name and email address. To see how to do a Zoom call with registration, go to My Meetings and change your settings to require Registration in meetings. You can add the fields that you want attendees to fill in, which include standard options such as name, email address and company affiliation. You can add custom options on the Custom Questions tab. It’s handy to have keyboard shortcuts that allow you to control your meetings easily. With keyboard shortcuts, you can give the Zoom app commands without having to use your mouse or go through several steps. For some useful advice to take away from this Zoom meeting review on how to do a Zoom call, remember the shortcuts for inviting and sharing. To invite someone to a meeting, press cmd + I on a Mac or alt + I on a Windows computer. Share your screen with cmd + shift + s or alt + shift + s.
Sometimes you’re on the move or just away from your desk. Getting a reminder for a meeting can be very useful. Zoom can give you reminders so you remember not just how to do a Zoom call but when you have one scheduled too. In your Meeting Settings on the mobile app, you just need to switch on meeting reminders. Then you will get a reminder when you have an upcoming meeting so that you remember to join. Combine this with your scheduling skills from earlier in this Zoom meeting review to get everything right. To effectively use Zoom video conferencing tools, you should familiarize yourself with the different features. As well as the tips in this Zoom meeting review, explore what’s on offer when you’re using Zoom to learn more about how to do a Zoom call. Are you using Zoom for your business? Don’t forget to check out our integration with Zoom Meeting!